Down by Fort Churchill State Park is the Carson River Ranches. 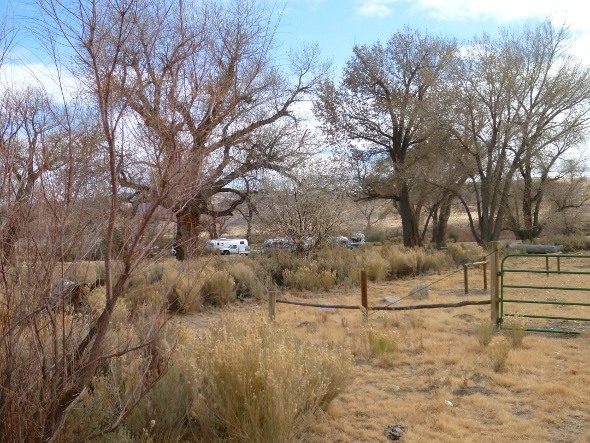 Scout Camp is set for horses with corrals and trails going up and down the Carson River. It is also a nice spot to spend Thanksgiving with a few friends. The November 2011 Newsletter has been posted.Links to photo galleries and additional information mentioned in articles in this newsletter can also be found there, too. The SNU November lunch will be at B.J.’s BBQ in Sparks. The date is Saturday November 19, 2011. Time, 11:30 am. Please RSVP to hq@sierranevadaairstreams.org or call 775 972 5011. We need to know how many people to reserve a table for. B.J.’s is located on North McCarran at East Prater Way close to a CVS pharmacy. For the latest on the Sierra Nevada Unit, check the Unit homepage. The WBCCI Region 12 gathered at the Jackson Rancheria for their annual rally. That’s a highly regarded and new RV park just off highway 88 with a gas station and mini-mart at the highway and a casino a bit up the road. The park is on a bluff so that its horizon is California foothills on three sides and a view of the valley to the south. See the Flamingos in the Foothills index for links to photo galleries and other information about the rally. Following the region rally, the SNU folks headed back to the wilds of Nevada for some time on the Carson River near Weeks, the site of Buckland Station on the Pony Express route near Fort Churchill and Lahontan state parks. Scout camp was originally set up by the state horse association fifteen years ago and is where they have their annual get together every year on the third weekend in October. The state parks department has picked up on the idea for trails along the river between Fort Churchill and Lahontan reservoir but differs a bit on what the future may hold. see the photo gallery of the SNU Rally at Scout Camp October 2011. The firewood was waste that didn’t get burned before the fire department said it was too late in the summer for the parks department to get a permit for trash burning. So, instead of waste, it was put to good use. It’d be nice if the parks people would provide more primitive camping such as this along the river. 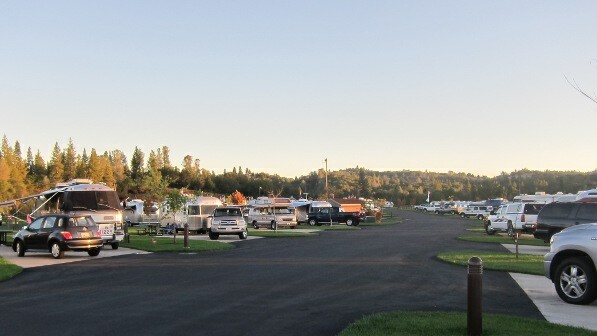 Leave Scout Camp as a horse focused area and provide another for self contained RV’s.